The ECM (Ethernet Communication Module) is a powerful serial to Ethernet converter that enables CEM serial communication devices to connect to the CEM AC2000 access control system via an Ethernet LAN. A chain of up to 16 RS485 CEM devices can be connected to a single ECM. 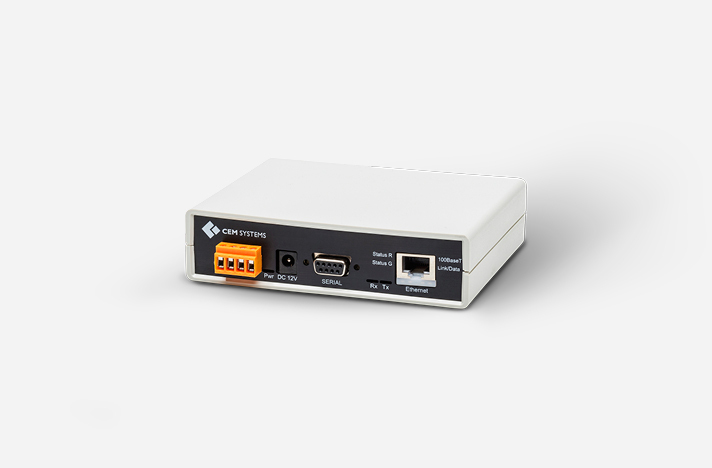 This provides a cost effective means of connecting groups of serial readers to the AC2000 access control system from a single Ethernet point.